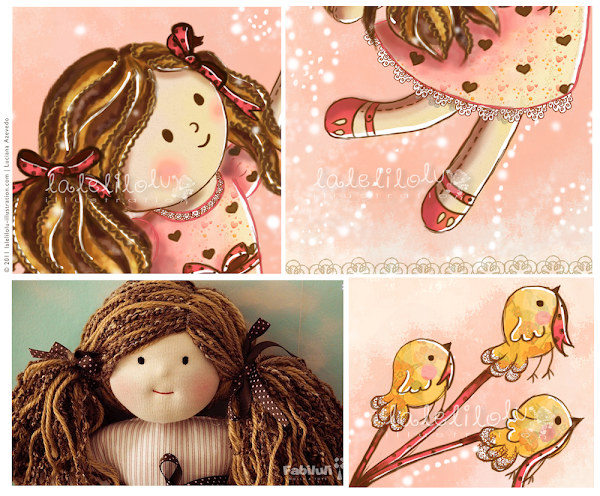 :: NEW ITEMS FOR THE SHOP – I’ve been full of new ideas and projects lately, and today I just wanted to show you my new illustrations inspired by a big passion: the dolls created by the talented hands of Fabiluli Dolls and Toys. Her Waldorf fairy dolls are so beautiful, that I decided to illustrate many of them! Each illustration will be available for purchase on Fabiluli’s shop and my Etsy Store. :: COMMISSIONS – I’m also taking commissions for custom illustrations of those who want to be portrayed just like a Fabiluli doll (or else, for those who want to have their own doll illustrated). Please, email me for details. 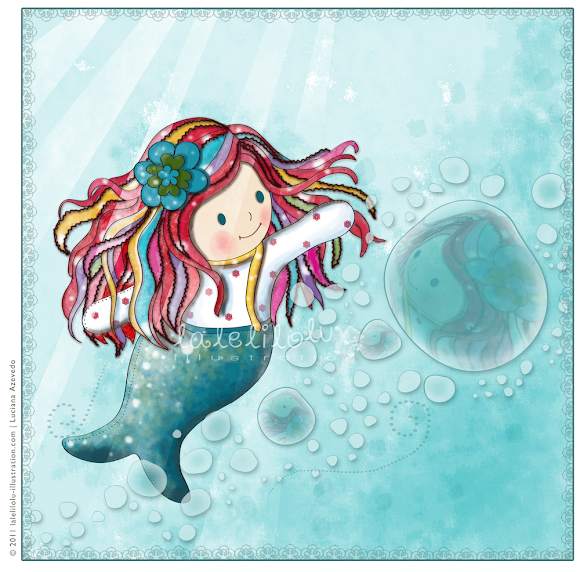 :: ILLUSTRATION FRIDAY – And finally, since this IF week’s topic is BOUNDARIES, I thought these illustrations would fit just fine – after all, there is no boundaries for the things good fairies can do! É fácil entender seu encantamento por essas bonecas. Elas são lindas.E suas ilustrações dela são tão lindas como elas. Muito sucesso pra você nesse novo projeto. ai lu, vc é demais. agora me diz??? vem menininha por aí?? fiquei apaixona pela bonecas e encantada com seus desenhos! Nossa Lú 🙂 que coisa mais linda, amei!!!!! Eu também quase não gosto de bonecas, hihihi. Obrigada, queridas! Mas essas bonecas realmente mexem com a gente, ne? Ja vi que se não tiver uma menina vou ter comprar várias bonecas pra compensar! Bom, e seu eu tiver uma menina, tambem vou acabar comprando um carregamento, né? 🙂 Não tem como fugir! Hi, I couldn’t read what you said about your illustration but I certainly loved it. I adore your blog header too. Ai Lu que lindo… tão delicado! Fiquei com vontade de ter uma menininha só pra encomendar, hehe! Fiquei curiosa pelas ilustras de meninos! Hi Janet, I think you may have missed the last paragraph in English. Anyway, thank you very much! Your illustrations are delightfully beautiful and sweet! Very nice work. Thanks so much for stopping by and leaving a kind message. Blessing on you! Thanks so much.